Congressman Jim Marshall has joined scores of other leaders in endorsing Jim Martin in the the primary runoff for the Democratic nomination for Lt. Governor. Here, Marshall joins other leaders in lending his support to Jim. 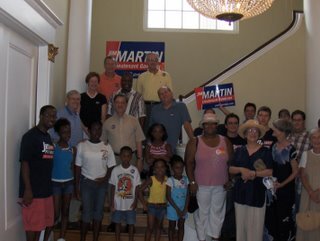 Congressman Marshall typically "stays in his own race", so in the instance, Jim has earned rare public support from the Congressman.